If the city won't come to the village, the village must come to the city. 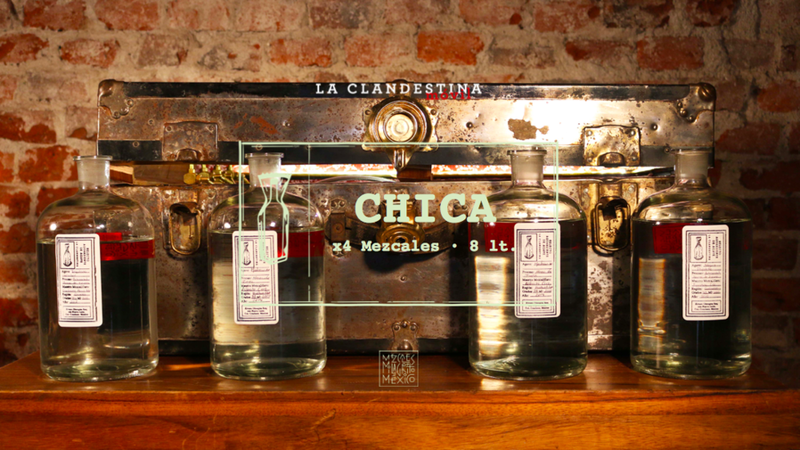 La Clandemóvil is the magic of Mezcales Milagrito and La Clandestina, packed in a treasure chest, ready to join you in all kinds of events –weddings, parties, celebrations... you name it. Clandemóvil Large: a trunk with up to 6 varieties of mezcal (13lt total). 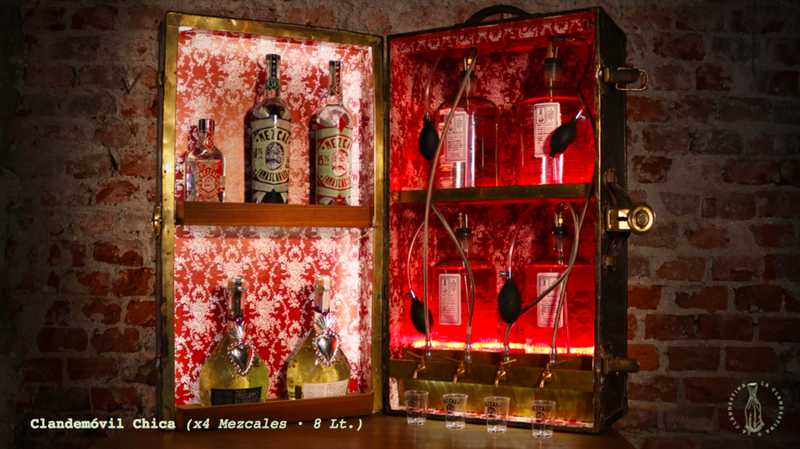 Clandemóvil Small: A trunk with up to 4 varieties of mezcal (8lt total). 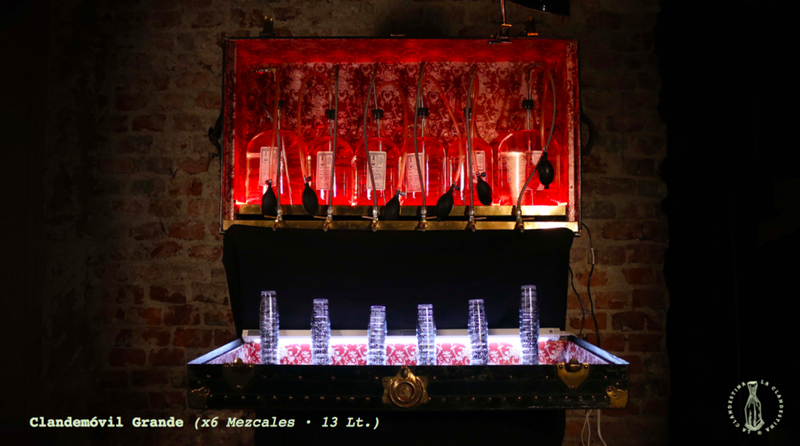 We bring the Clandemóvil to your venue, complete with a person in charge of installing the trunk and pouring the mezcales, as well as shot glasses. You just need to provide a table and an electrical outlet. Once the party is over, we pack any leftover mezcal for you to keep and bring back the Clandemóvil to our headquarters. When and where will your event take place? How many people are you expecting?